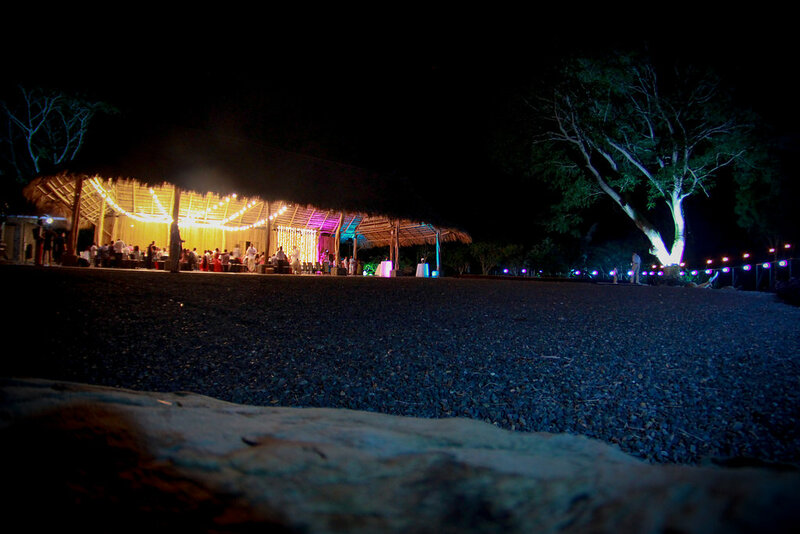 Family and friends celebrate at the Rancho - Villa Caletas. 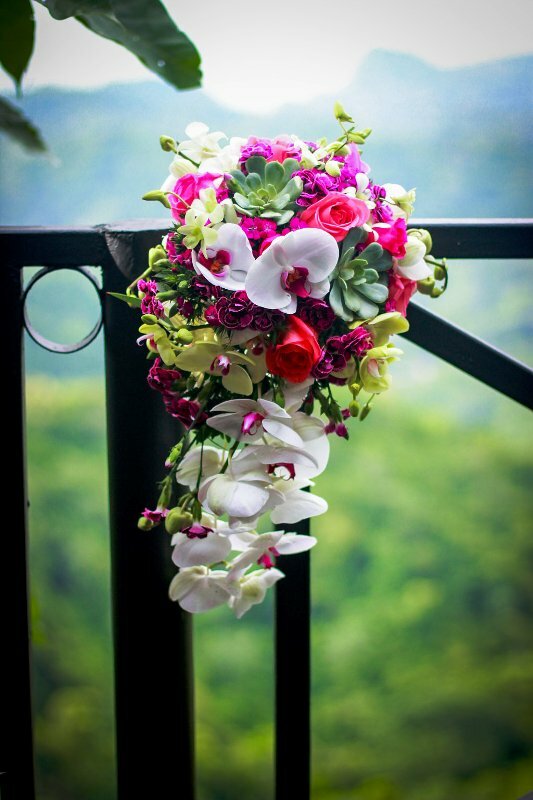 Lauren and Omar visited Costa Rica a year before their wedding to make sure they chose the perfect venue. 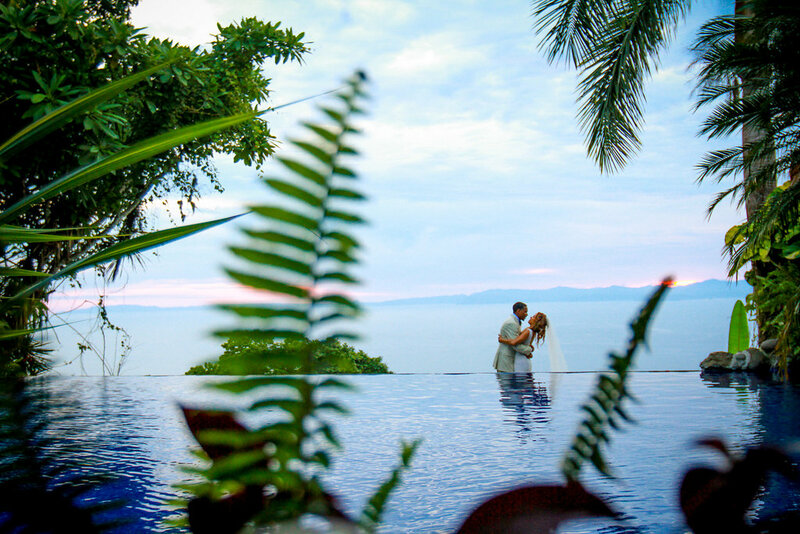 They fell in love with the new Rancho at Villa Caletas The open-air design matched their wedding vision and they knew this was the place to celebrate their wedding in Costa Rica. 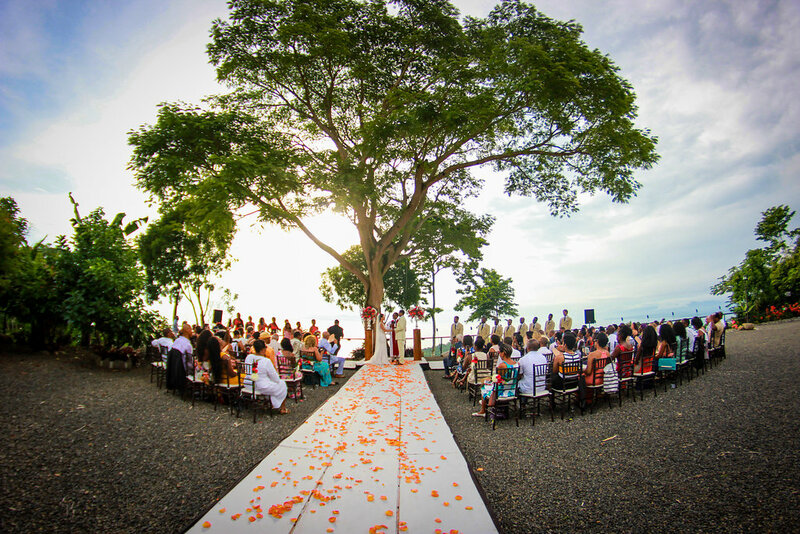 The ceremony overlooking the ocean was spectacular. A truly family affair, their minister came from home and had married many people in Omar’s family. The singing by the minister’s wife added a personal touch. 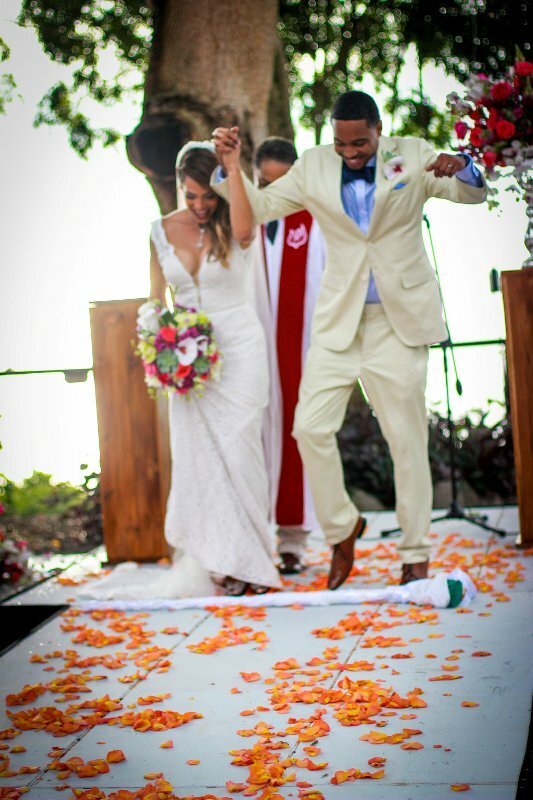 The ceremony ended with Lauren & Omar jumping the broom. After the ceremony the bridal party had a lot of fun taking pictures around the property of Villa Caletas. 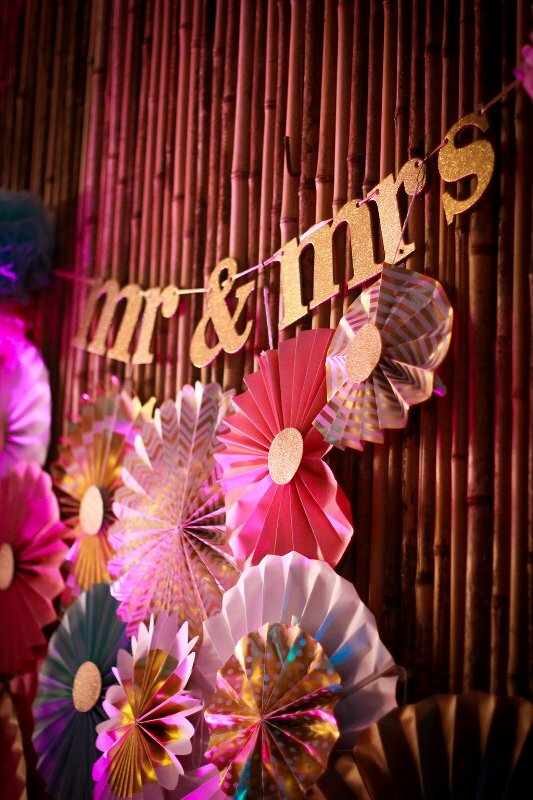 The decor included flowers that featured orchids, succulents and bright colors. The contrast with the flowers were the navy table cloths. Each table was representative of aspects of Costa Rica. 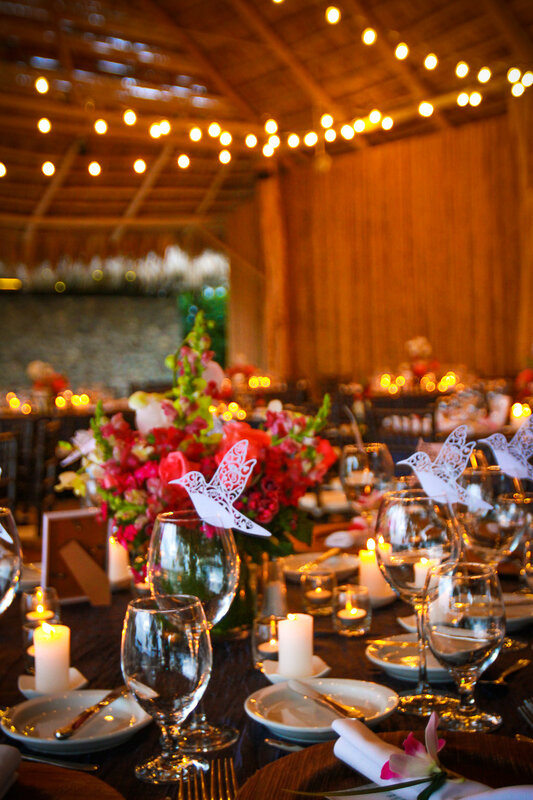 For example, there was one table with that featured butterflies and another that had shots of guaro (local grain alcohol) which great greeted each guest. Lights were strung overhead and on the wall to hi-light the dj. 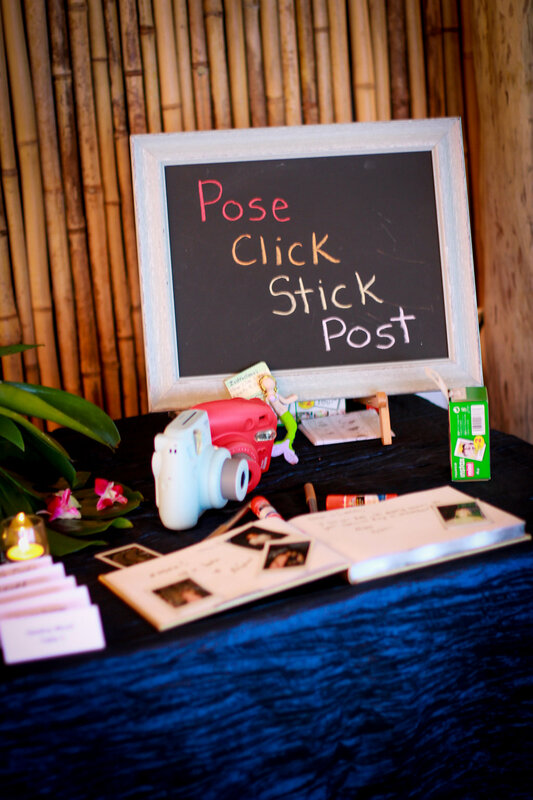 Guests had fun taking their own pictures, leaving comments and adding them in the guestbook. 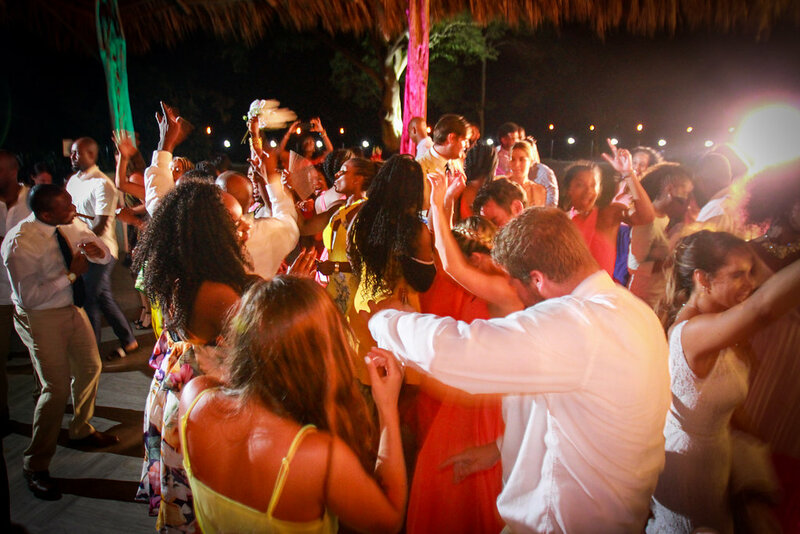 This wedding was all about the celebration and the dancing didn’t stop until midnight. 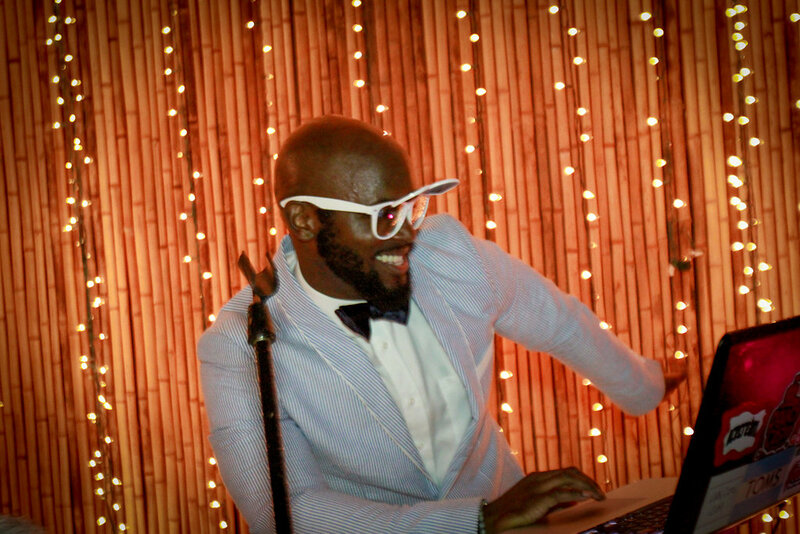 Another personal aspect was DJ Tek. He introduced Lauren and Omar to each other. The night ended with a spectacular show of fireworks. 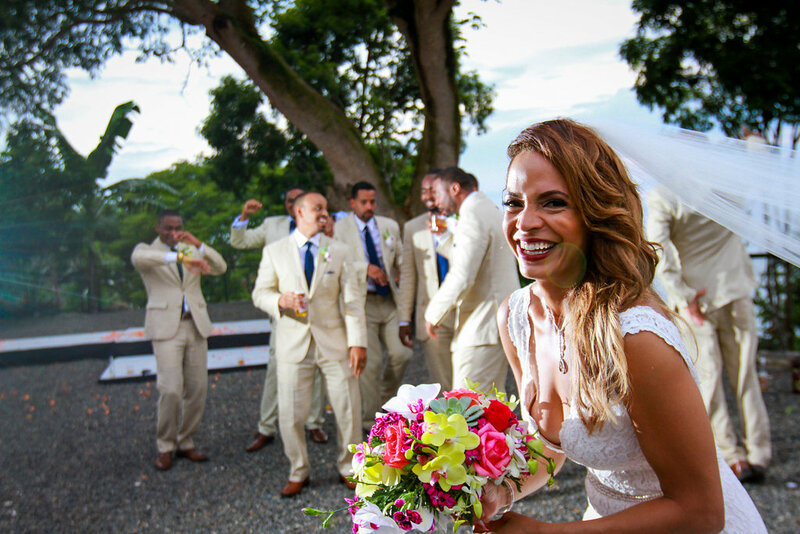 Special thanks to El Velo Photography for capturing Lauren & Omar’s wedding. 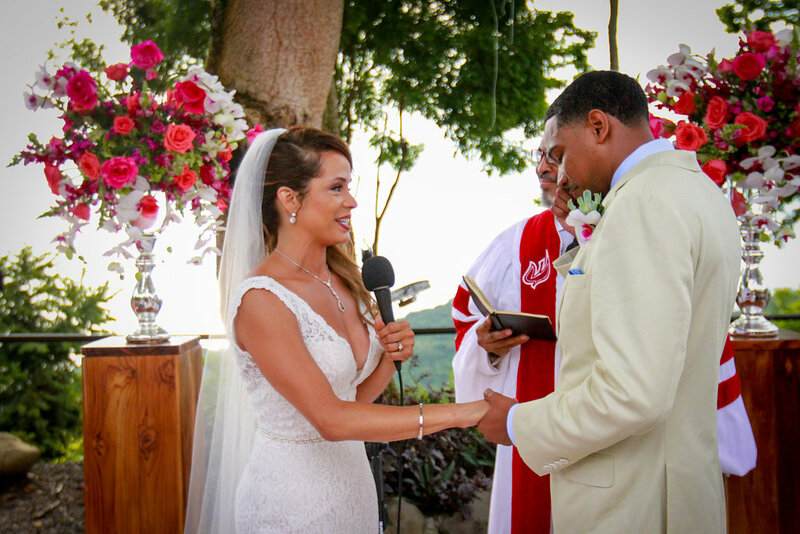 This entry was posted in jumping the broom, Rancho-Villa Caletas, Villa Caletas Wedding, Wedding Fireworks, Wedding Flowers, Wedding in Costa Rica, Wedding Locations, Wedding Reception and tagged ceremony flowers, reception flowers, Villa Caletas, Wedding Bouquet, wedding fireworks, Wedding Flowers by Randy Gritz. Bookmark the permalink.